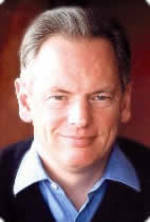 Have you a burning question to ask the Chairman of the Conservative Party, Francis Maude MP? If so then now is your chance. "Challenge the Chairman" is back in 2007. Jonathan Sheppard Editor of Tory Radio will be putting your questions to Francis next week. Is the party on the right track to win an election? Are the policy groups ready to report their findings? Is it time the A list was wound up? Click here to listen to the interview, and click continue on this post to read Jonathan Sheppard's step-by-step synopsis.